Product prices and availability are accurate as of 2019-04-20 18:18:13 BST and are subject to change. Any price and availability information displayed on http://www.amazon.co.uk/ at the time of purchase will apply to the purchase of this product. 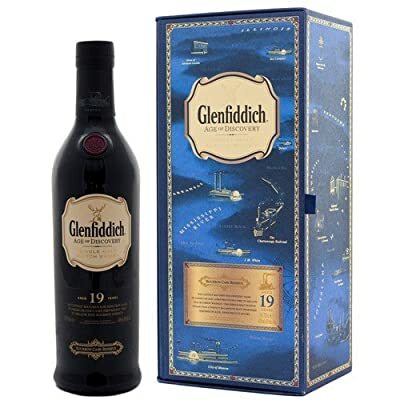 "70cl / 40.0% - The Glenfiddich Age of Discovery range is released just to the travel retail market until 2012 when the 19 year Old Madeira Cask was released to to the UK retail market to great excitement and applause. However this meant that Glenfiddich needed a new Age of Discovery bottling to replace the excellent Madeira cask, so here we have it - the Bourbon cask a fantastic follow-up that delivers as strongly as its older brother."